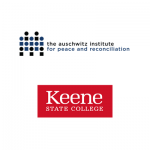 Beginning in the autumn of 2017, the Auschwitz Institute for Peace and Reconciliation (AIPR) and Keene State College (KSC) will offer a new joint Global Fellowship initiative which will welcome scholars and practitioners who have attended and participated in AIPR’s programming to the KSC campus for a fully funded semester-long fellowship. Global Fellows, who will reside at KSC for the duration of the fellowship, will immerse themselves in life at the College through enrollment in courses and participation in campus activities. This autumn, Mr. Hikmet Karcic, a Ph.D. candidate at the International University of Sarajevo, Bosnia-Herzegovina and researcher at the Institute for Islamic Tradition of Bosniaks, will become the program’s first Global Fellow. The author of many scholarly texts, including “An Appeal for Truth,” Mr. Karcic’s research focuses on mass atrocities that have been committed in the Balkans region, especially surrounding the Bosnian War that took place between 1992 and 1995. Mr. Kacic attended AIPR’s Raphael Lemkin Seminar for National Genocide and Mass Atrocity Prevention, which was held in Sarajevo in March of 2015. He hopes that his time as a KSC-AIPR Global Fellow will give him the opportunity and the resources to engage more profoundly with a comparative approach to his studies, further enhancing his abilities as an academic and researcher. Ms. Patricia Fernanda Perez Valdes of the Museum of Memory and Human Rights in Santiago, Chile, will arrive on the Keene State campus in the fall of 2018 in order to take up the mantle as the program’s second Global Fellow. The Museum of Memory and Human Rights works to give visibility to the violations of human rights that were committed by the Chilean State between 1973 and 1990, preserve the dignity of the victims and their families, and inspire reflection and discussion on the importance of respect and tolerance in preventing the repetition of these violations. Ms. Valdes attended AIPR’s Global Raphael Lemkin Seminar for the Prevention of Genocide in November of 2014 in Poland and the May 2015 edition of the Raphael Lemkin Seminar for the Latin American Network. At the Museum of Memory and Human Rights, Ms. Valdes performs several roles including that of teacher, mediator, and researcher on topics related to education, human rights, art, memory, and transitional justice. She will dedicate her time as a Global Fellow to the development of institutional programming that will promote the prevention of crimes against humanity and promote the value of human rights.